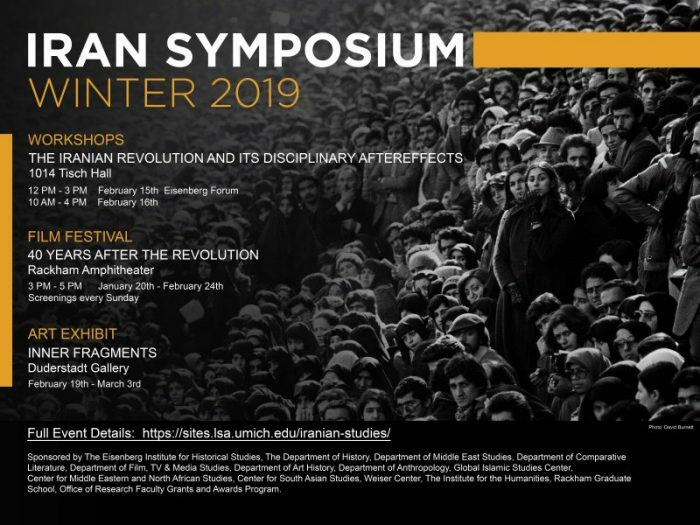 Don’t forget—This Friday and Saturday we will be hosting a special symposium bringing together experts in the diverse disciplines of Iranian Studies to discuss the state of the field on the 40th anniversary of the 1979 Revolution, followed by a film screening on Sunday. The program is included below, and go here for complete details. Spread the word, and we look forward to seeing you! All meetings take place in 1014 Tisch Hall, 435 S State St, Ann Arbor, MI 48109.